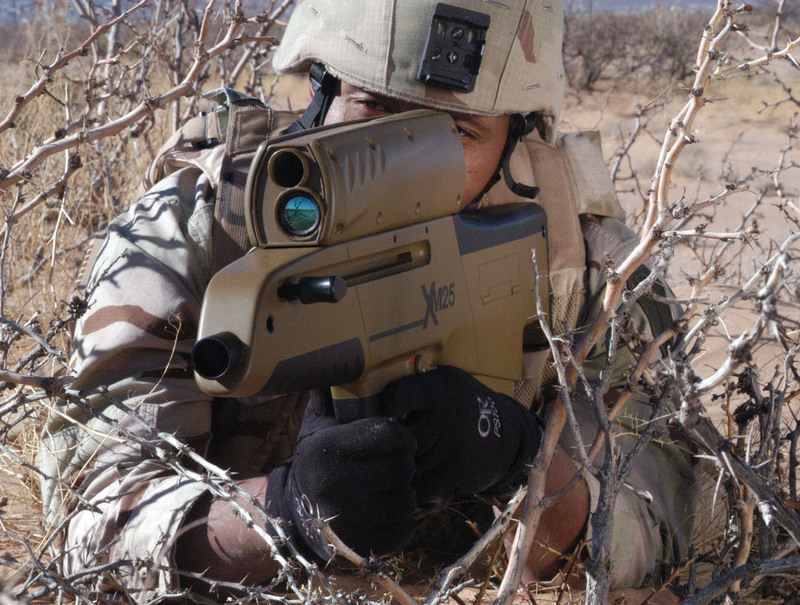 “What makes this weapon system truly revolutionary is the ability to target the enemy, pass on this information to the sensors and microchips of its 25mm HEAB round, and have that round detonate over the target,” explained Maj. Shawn Murray, a Soldier Weapons assistant product manager in PEO Soldier, the organization responsible for developing the XM-25. 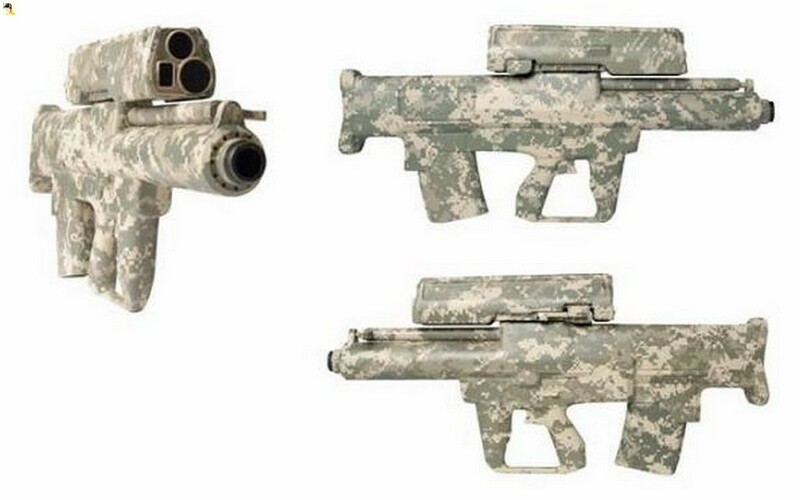 Because of the XM-25’s unique TAFC and HEAB round, Soldiers will be able to engage enemy forces located in the open and “in defilade” -behind cover, such as walls, rocks, trenches, or inside buildings. 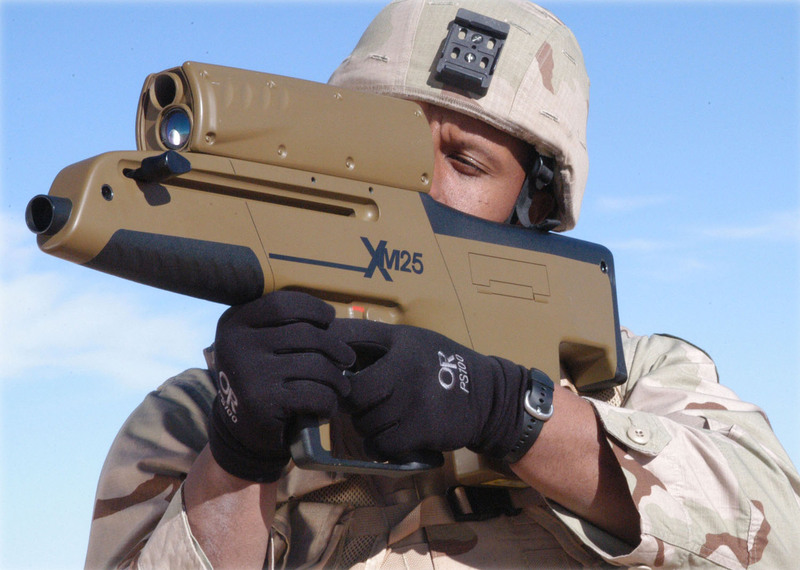 The semi-automatic weapon’s magazine holds four 25mm rounds and can be employed at night or during inclement weather thanks to the XM25’s built-in thermal sight. After only five minutes of instruction at the Aberdeen Test Center, Sgt. 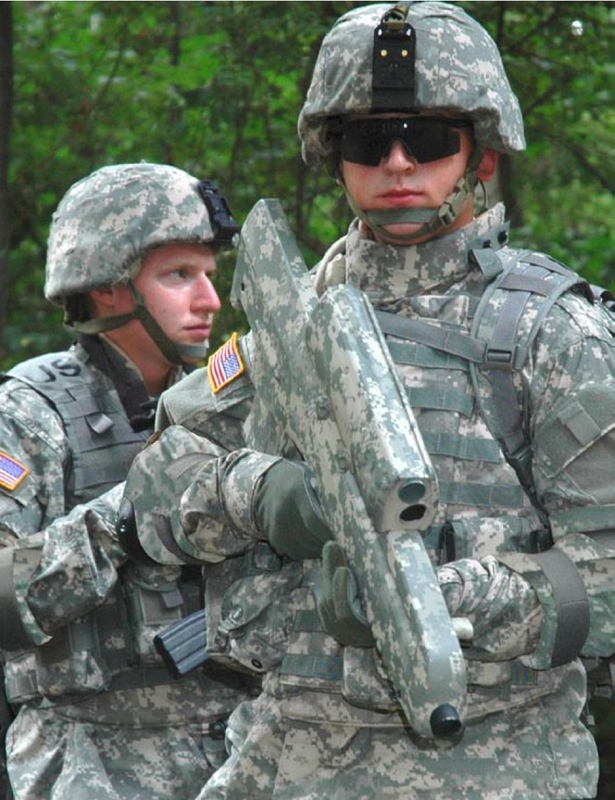 Logan E. Diveley from the 180th Infantry Regiment was able to put his first HEAB round through a building’s window and take out an enemy mannequin at 200 meters. 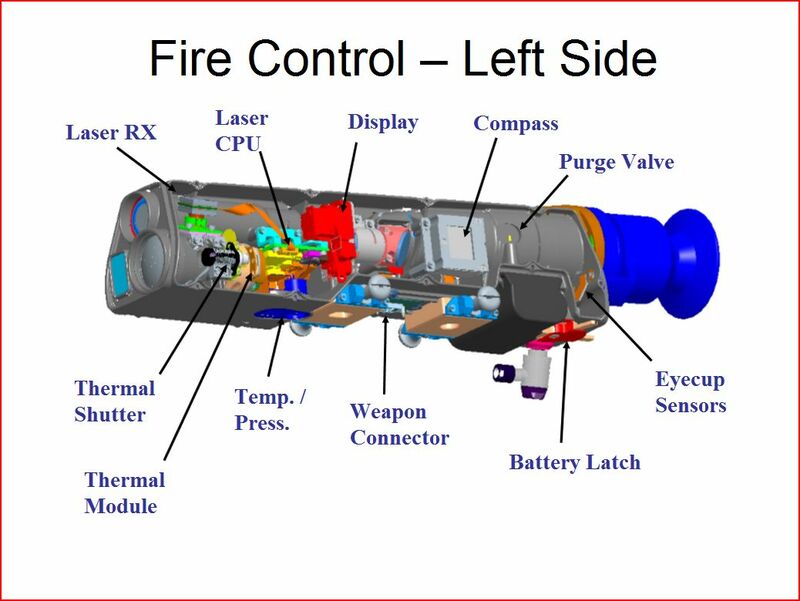 Once downrange and in the building where the defeated enemy mannequin lay, Maj. Murray noted the limited collateral damage associated with the XM-25. 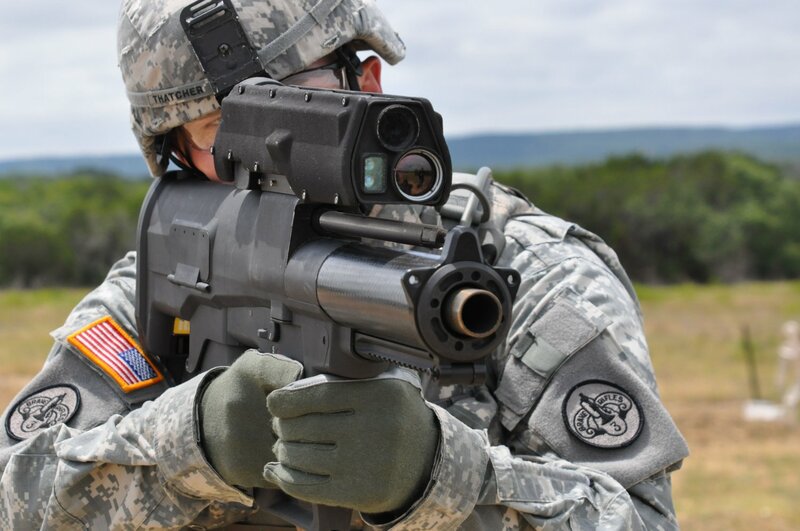 “Because of its pinpoint accuracy and relatively small warheads, the XM25 can neutralize an enemy without the need to destroy a whole building,” Murray said. 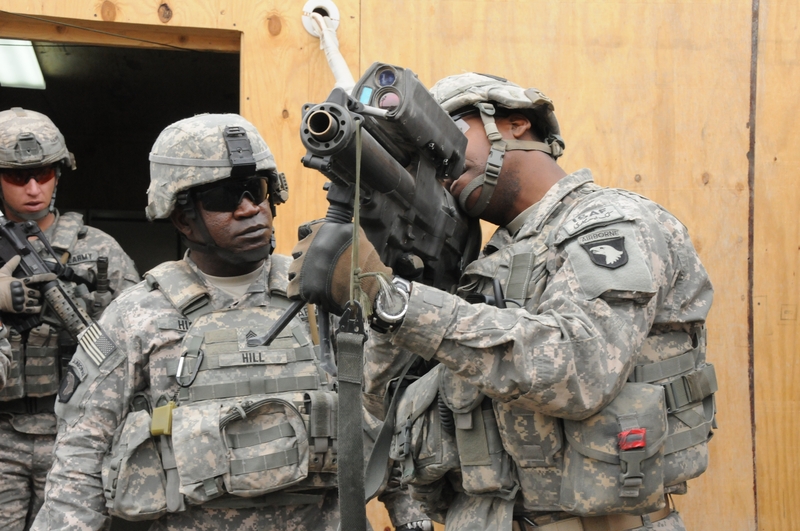 “For our counter-insurgency operations to be successful, it is important to keep collateral damage to a minimum and to protect the civilian population. 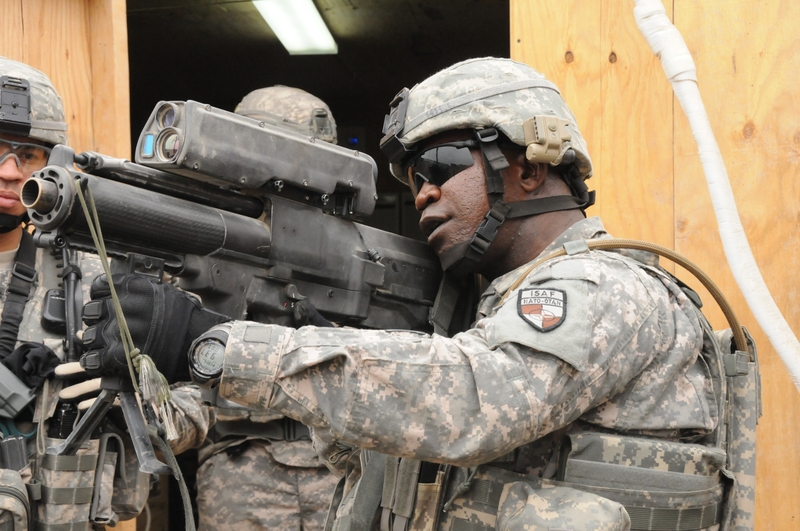 I think the XM-25 will prove itself many times over in Afghanistan,” Murray said.